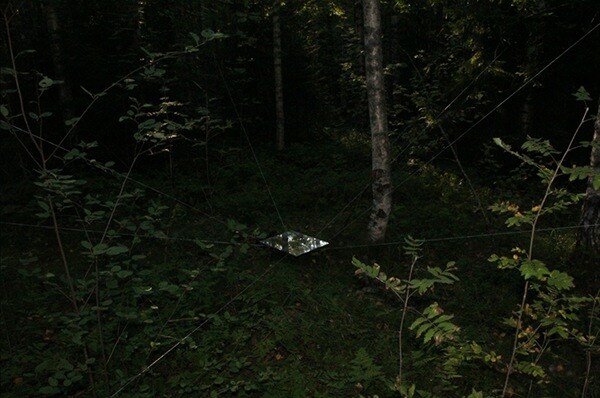 These sculptures were created while in residency at Arteles in Hameenkyrö, Finland and coincide with a thread of investigation concerning digital capture of natural spaces, as attempts to gauge unfamiliar environments through scanning and electronic capture inevitably fail and lose themselves amidst the complexity of the forest environment. This body of work was continued with the video piece entitled "Lost Vectors", which is also included here. 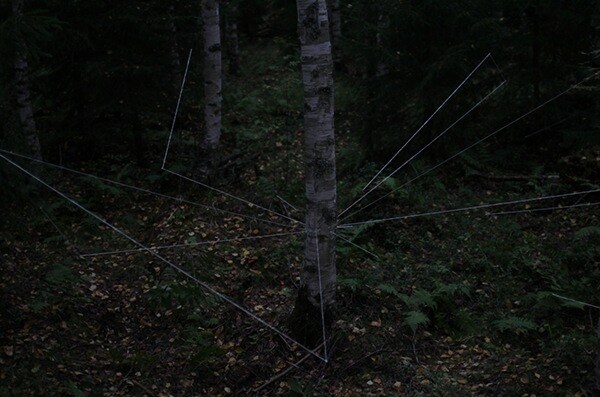 This sequence was created in August of 2011, and consisted of three separate works positioned at various points in woodland areas. All works were constructed only from fishing line and nylon rope. 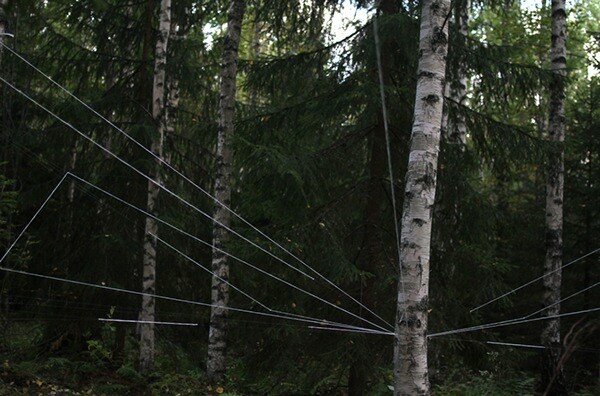 Sculptures created during residency at Arteles, Finland. 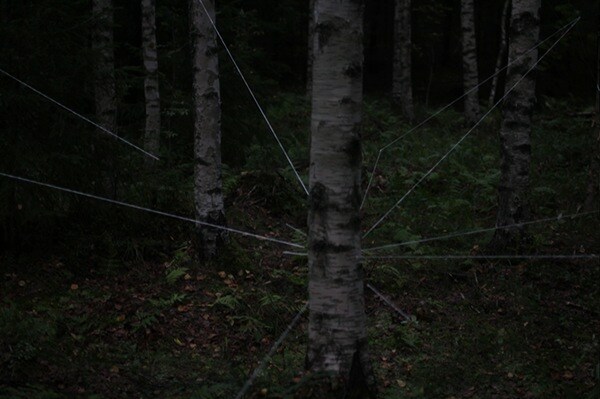 This work coincides with a thread of investigation concerning digital capture of natural spaces, as attempts to gauge unfamiliar environments through scanning and electronic capture inevitably fail and lose themselves amidst the complexity of the forest environment. This body of work was continued with the video piece entitled "Lost Vectors", which is also included here.